A new version of the Google Phone app began rolling out this weekend with a few bug fixes and some new hints about what may be coming in the future. We've checked for the *infamous 'switch to video call' feature* that was spotted during the October 4th event, but it still doesn't appear to be operational yet. However, a teardown of this update reveals that the Phone app will automatically correct prefixes when you make a call to international numbers and it may begin offering voicemail transcriptions on behalf of carriers. 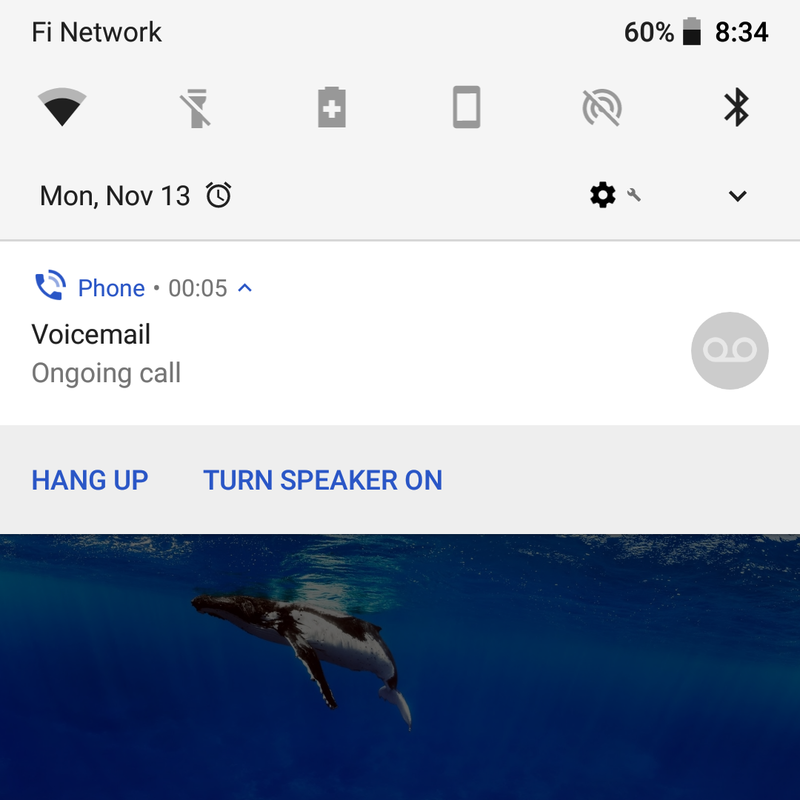 One other change was spotted by Alexander Alvarez, this one coming in the form of a new look for the notification that's shown when you're on a call. 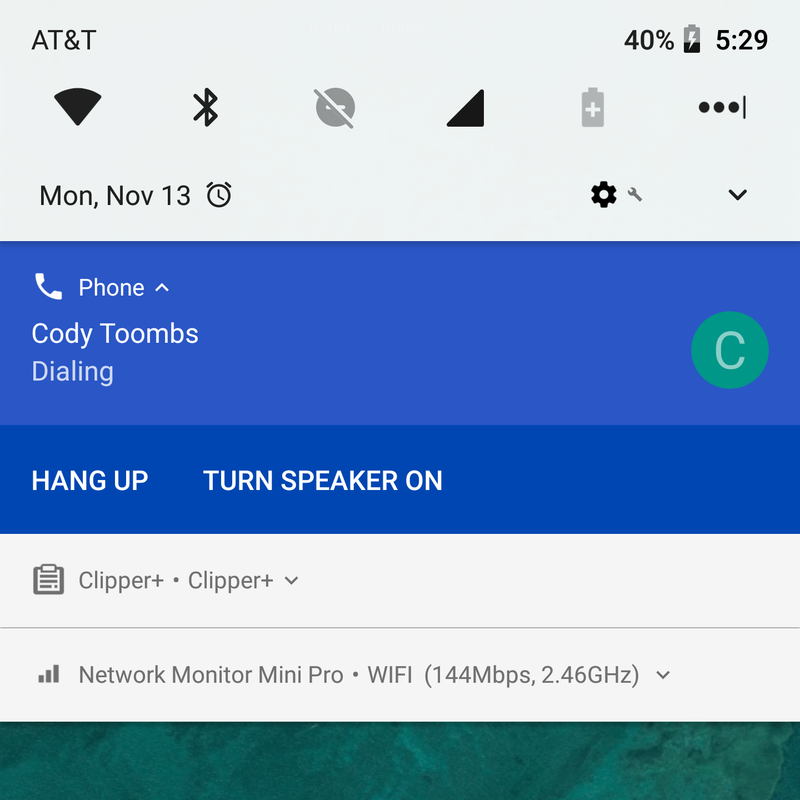 None of the elements of the notification have been changed or removed, but the background colors and text have been changed up. You'll now see two shades of blue filling the background of the notification, and all of the text has been inverted to white to retain good contrast. There weren't any other new features spotted in this update yet, but the video camera icons in the call log recently switched back to phone icons. A few other people have seen this happen, but others have not, so we're not really sure if it was switched back remotely or if there was just a bug. However, after installing v14 of the Phone app, the video camera icons have been restored. I suspect it will be permanent this time. In a recent teardown of the Contacts app, new text suggested the app would "fix" phone numbers if it detected a change to the system it was connected to. A similar feature is going to appear in the Phone app. It's called Assisted Dialing and it promises to automatically correct the prefix for international numbers. If you're traveling or calling outside of the country, this may save a bit of time and probably some confusion. Assisted dialing will have its own dedicated settings screen, which means there are probably more features like this planned for the future. It's just a single toggle that will be enabled by default. It looks like you'll be able to see if a phone number has been corrected because the calling screen will show the number it's actually dialing, followed by what will probably be the original number in parenthesis. 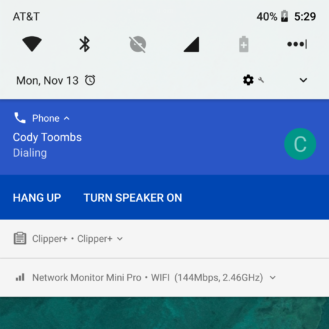 Late last year, Google added support for Verizon's Visual Voicemail (VVM) service to the Google Phone app. Depending on your carrier, you can usually get visual voicemail in some form or another, but you may not get transcripts. Judging by some new lines of text, Google may begin supporting more carriers by offering to transcribe voicemails using its own speech recognition service. There's no reference to Google Voice, which is what leads me to think Google will access your carrier's voicemail rather than push users to join Google Voice. 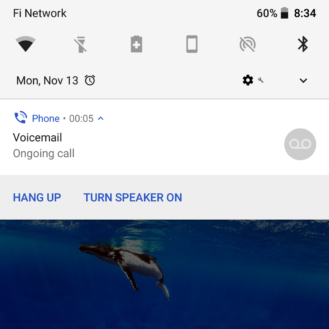 If the Phone app can already show visual voicemail and download the call audio (which was necessary for sharing), it makes plenty of sense for Google to also pass the audio through its transcription service. I had even suggested Google may be doing something similar to this for backing up voicemail, so the transcription is a very simple, very obvious next step. It wasn't until the Android One program began that Google become responsible for supporting dual-SIM phones. Prior to that, all of the Nexus phones supported only one card. Evidently, support wasn't really up to snuff yet, and there is now some effort to improve the experience for those with multiple SIM cards. The new strings only relate to changing which SIM is used for making a call and showing which one is receiving a call. Since I don't have a dual-SIM phone, I can't test if either of these are actually working yet, but I have a feeling we will hear about it soon.